This page includes a listing of significant rail infrastructure projects in the Pioneer Valley region. Please note that this list does not include all projects underway along the rail lines in our region. This project will involve the extension of the existing high-level station platforms in Greenfield and Northampton to a length of 146 feet. 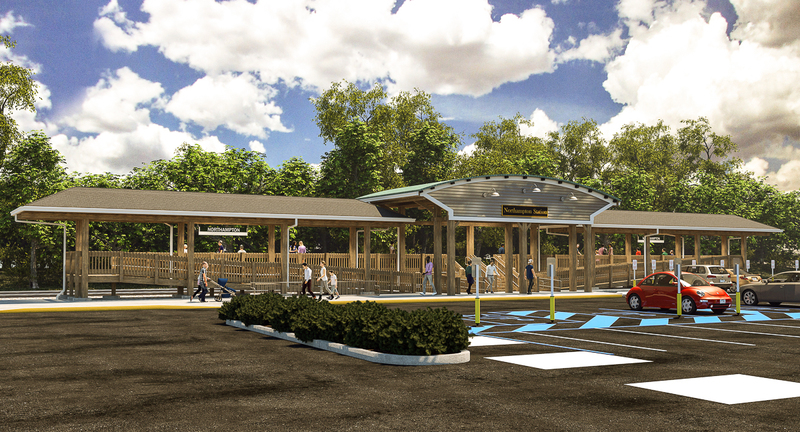 An expanded station platform will allow for two pairs of passenger car doors to be opened on the platform, which would basically double the speed of boarding (and deboarding) passengers at these station. The MassDOT Capital Improvement Plan includes funding for the construction of one high-level platform at the station. 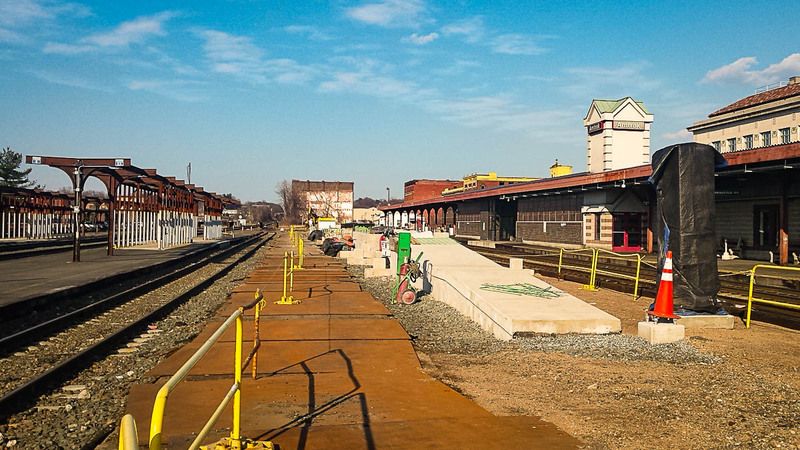 A new 362-foot hi-level boarding platform is currently being constructed on the footprint of Platform C (between tracks 4 and 6) at the station. The new platform will be accessed from the concourse level of the station via a set of stairs and an elevator. The historic steel canopy over platform C has been disassembled and transported to a steel fabrication shop for deleading, repaired as necessary, and repainted. The canopy will then be reinstalled and a new roofing system will be installed. 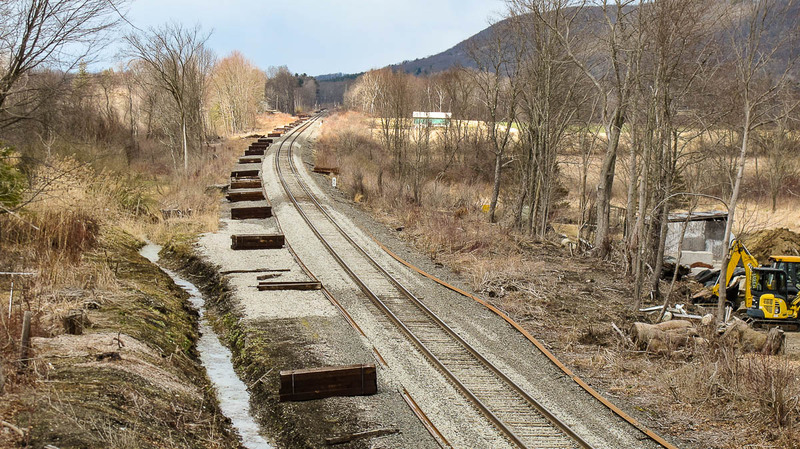 This project will involve tie replacements, track refurbishment and related work along 32 miles of the Connecticut River Main Line (CRML). Note in particular that the specifications states that scrap crossties, switch timber, and other wood products shall be removed from the right-of-way within five working days of their removal from the track. The contract documents say the contractor shall achieve Contract Completion within 300 calendar days from Notice to Proceed or by May 15, 2019, whichever is earlier. 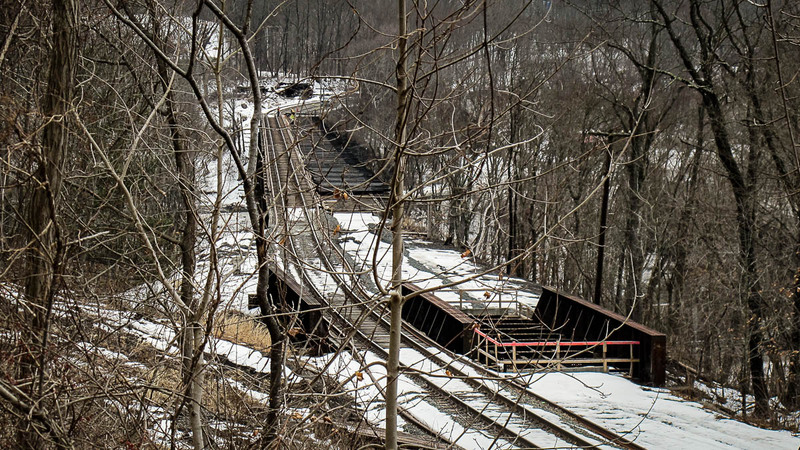 Bridge at MP 34.95 [visible in the foreground in the image] which carries the CRML over the Pan Am Southern Fitchburg Main line. As part of this project the 2nd mainline track will be re-installed on both bridges. 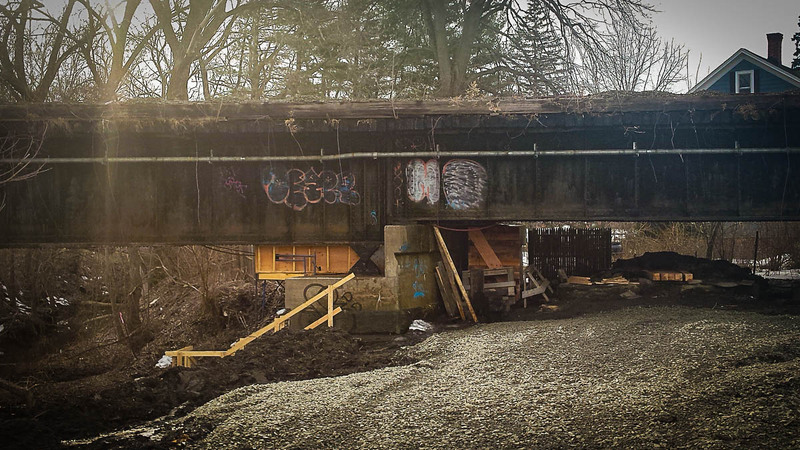 This project will involve repair/rehabilitation of two railroad bridges located in Northampton, MA. 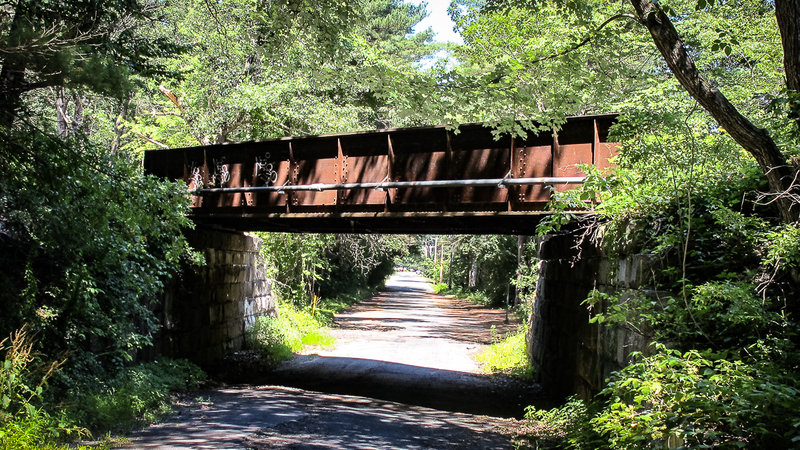 The Massachusetts Department of Transportation (MassDOT) intends to construct a pedestrian path under the Connecticut River Main Line in Springfield. The project will construct a pedestrian route under the railroad tracks in order to provide a safe pedestrian connection between the Brightwood and North End neighborhoods in Springfield — more specifically between the Chestnut Middle School area in Brightwood and the Birnie Avenue/Main Street area in the North End. Construction is scheduled to start in 2019.